It's got a bit tricky keeping up with all the Need For Speed games, given that there are so many out there, from Underground to Hot Pursuit, but for many this entry is one of the best in the whole series. It's got everything you want from a driving game, with lots of tracks, cars and of course heaps of hi-octane action to keep you hooked, so if you need a new racer, then check this out. As you'd expect from the series, this one is full of modes, tracks, cars and challenges to try out, and it's this range of options that is one of the game's biggest appeals. You've got the classic Hot Pursuit mode, which pits you against the cops on traffic-filled roads, with a couple of new variations to spice things up. You also have a cool Career mode which offers plenty of tricky challenges to test your skills at, while there are some major improvements to the damage model, which is now much more realistic and which adds much to in-your-face feeling to the game. There are also more tracks than ever before, as well as the expected array of fancy cars. High Stakes really is a top notch driving game which delivers in pretty much every aspect. The range of modes and race types will keep you busy for some time, as will unlocking all the cars and challenges. The visuals are still slick and detailed, with some nice environments to enjoy, while the all-important sense of speed is present in spades. Sound too adds much to the atmosphere, with some cool tracks to keep the heart pumping, while controls are nice and responsive. Really, racing doesn't get much better than this. 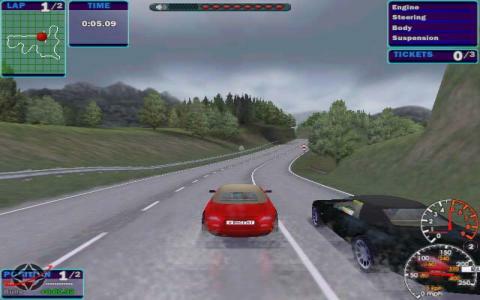 All racing car game lovers know the series as this has fascinated gamers all over the planet. The same is the case with this installment in the series as it features tons of traits which provides you great racing experience. The first feature which is now quite obvious with NFS games is that it gives you a huge variety of some very good and hip hop sports cars that not only look stunning but are also very good in terms of their performance, accelerations and speed. 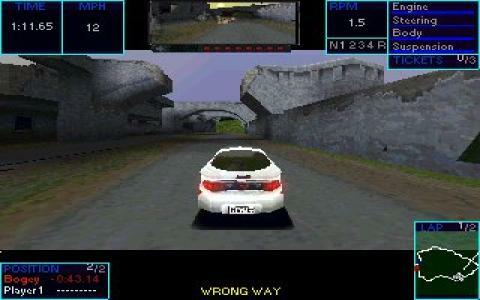 The gameplay is pretty much the same as we see in the rest the series where you have to race on a variety of tracks with distinct elements and will be chased by the police as well. The game also gives you a tournament mode and a league mode which are equally good. My favorite mode in the game is the time trap mode and the gateway mode because they are really competitive and tough. The racing dynamics are good and realistic and you have to be good at the corners with you controls and acceleration adjustment so that you can go on without losing much of the speed. Unlocking new cars will be fun for you because when you do so, you love them. 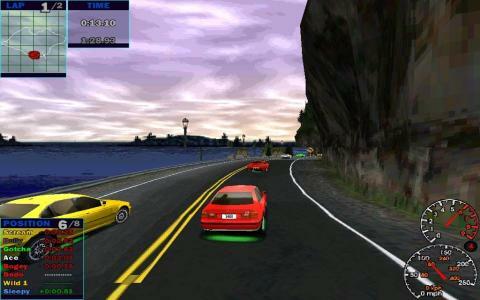 Start with the original version of Need for Speed and go through all of them and enjoy real racing. 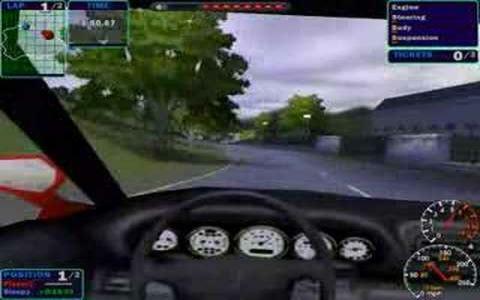 NFS4HS is a racing game developed by Electronic Arts Canada and published by EA. This is pretty much the game that made the Need for Speed franchise so fun, that fans everywhere always expect a fun game every time a new one is announced. The gameplay format in this game is similar like in its predecessor as well as introducing a new form of tournament. The game also has a career mode, that is mostly a set of challenges that you need to complete in order to win trophies and unlock new cars and tracks. This is pretty much the reason why I kept playing the career mode. The High Stakes mode is pretty much a race where the winner gets the loser's car. The pursuit modes are fun and challenging at the same time and it's more fun if you have a friend to play with. There is even a damage system in the game, which somehow affect the performance of your car. The graphics are stunning, the HUD is well done and the soundtrack is awesome.